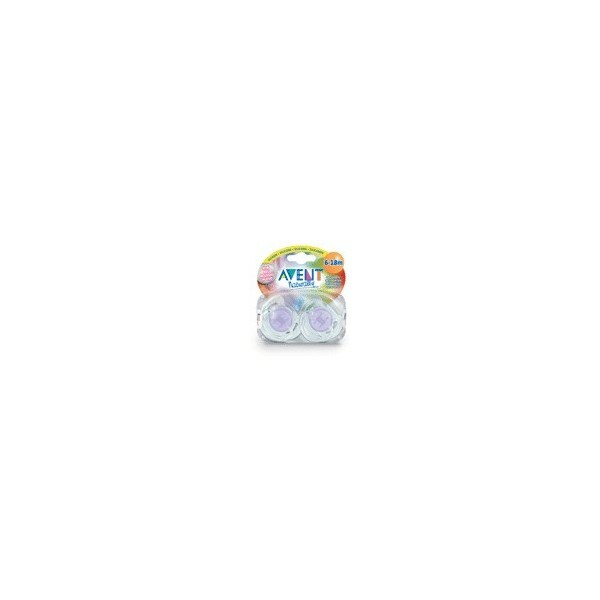 AVENT Translucent Soother. Elegant design. Its transparent disc reveals baby's face. Babies instito use suction to be able to calm and soothe. For this reason, at times, use a pacifier may help your baby to relax and feel comfortable when nothing else seems to work. The AVENT teats are ventilated to prevent collapse. Are symmetrical to allow the natural development of palate, teeth and gums even if the soother ends up upside down in baby's mouth. The AVENT silicone soothers have many advantages: silicone is tasteless and odorless so that they are better accepted by your baby. -They are soft, smooth, transparent and easy to clean. -They are sturdy and durable.